Being the worst at keeping plants alive, we decided to make some easy to maintain moss terrarium for Christmas presents this year. To build a terrarium the first thing you'll need is a container, we picked some nice glass container up from Toronto's famous Honest Ed's. Within the container you will need to layer these things so the soil and plant will not rot, smell, or die. The purpose of the activated charcoal is to stop the soil from molding. This is to stop the soil from sifting down to the charcoal and rocks. It also absorbs access water. Plants need soil... enough said. We used 3 types of moss. Cushion, Rock Cap and Hypnum moss. Hypnum moss were used as a general blanketing, where as the Cushion and Rock Cap moss were used as 'feature' plants. 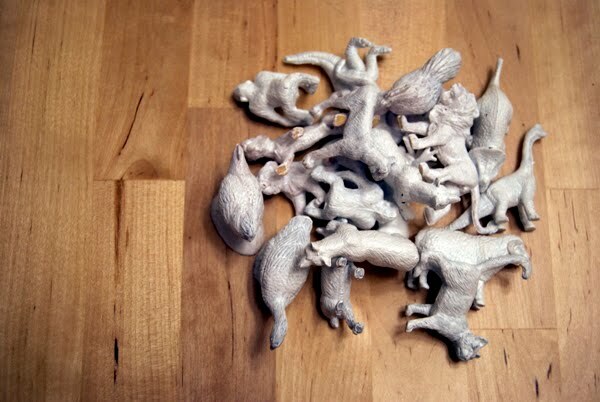 Bought little animal figurines from the dollar store, hand painted it white so it stands out. 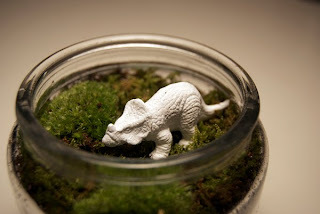 These Terrarium are very easy to maintain. Water the terrarium when it looks dry, open the lid when there is some condensation. Happy holidays from the NDC! 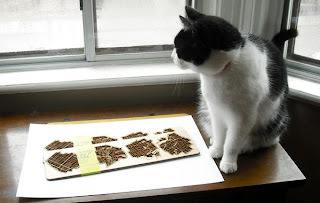 I Kinda Like It Here on BlogTO! 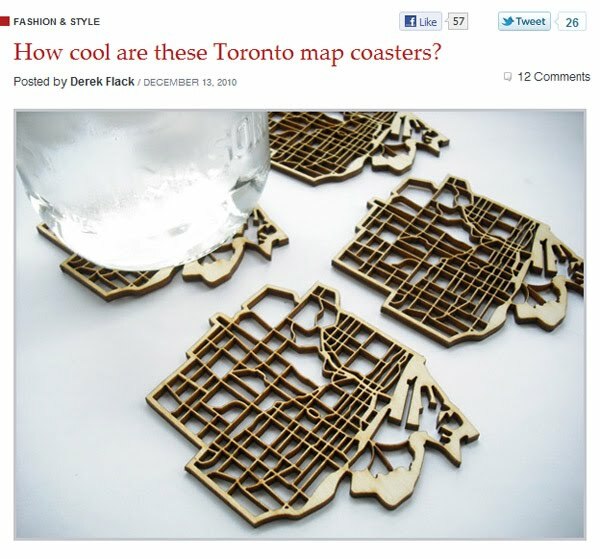 The coasters were just featured on one of our favourite websites, blogTO. I am really enjoying all the comments. 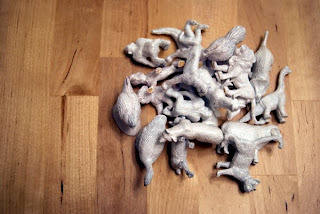 By the way, they are really cool! NDC in Antipasto, Hong Kong! Is that not the most the amazing cover? 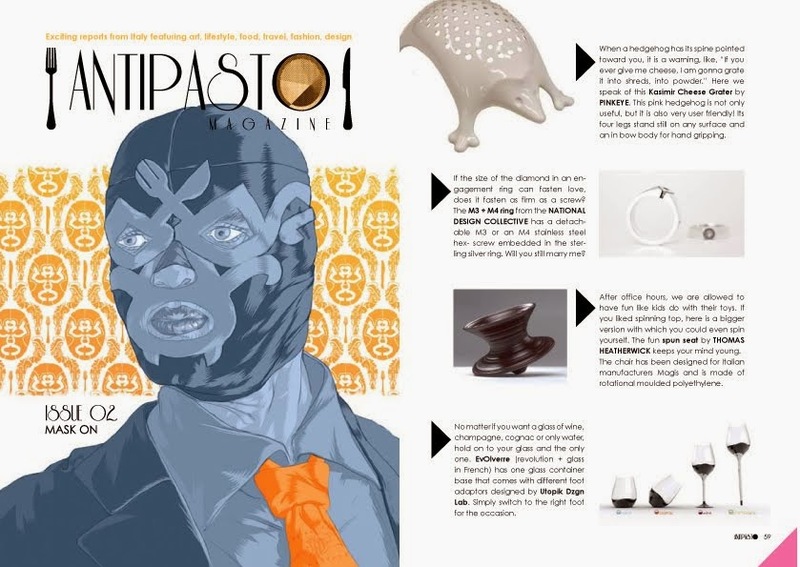 M3 + M4 rings in Antipasto, an Italian Design magazine based in Hong Kong. Read Issue 02 - Mask On here! I Kinda Like It Here has a home. 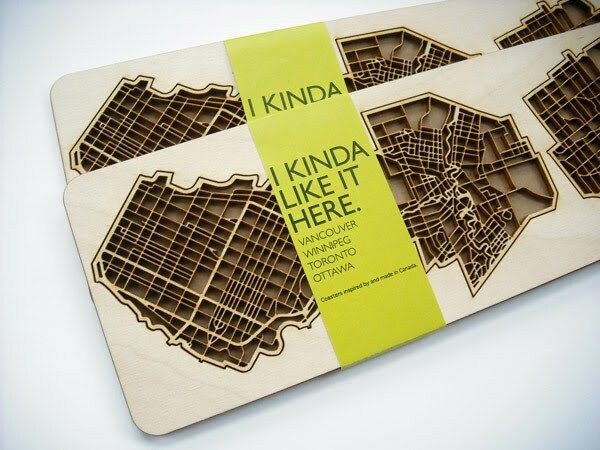 The I Kinda Like It Here coasters now have a retail home with Micah at Russet and Empire, in the Junction. Also, the online store is up on our fine website for out-of-town sales, and we will have stock of the Toronto-only coaster set later this week. After an arduous wait, we can finally write an update to the "Urban Sprawls Under a Cup" post from waaaay back in September. Since then we have gone through many rounds of prototypes to test wood types, line weights and rastering profiles, and have just received the first production pieces for our newest project, "I Kinda Like It Here". 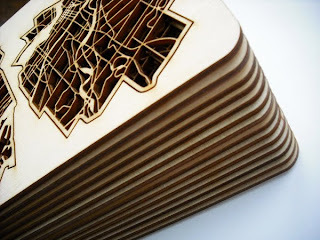 Coasters inspired by, and made in, Canada. Since the last post we added a coaster for downtown Vancouver to make it a set of four. The coasters are cut out of 3mm birch plywood, maintaining two small connections to the background. When pushed out, these tabs are easily broken in order to free the coasters for use. We are currently lining up retail outlets, and setting up our online store, so check back for more information in the upcoming week! p.s. Also keep your eyes peeled for the January edition of Design Lines! 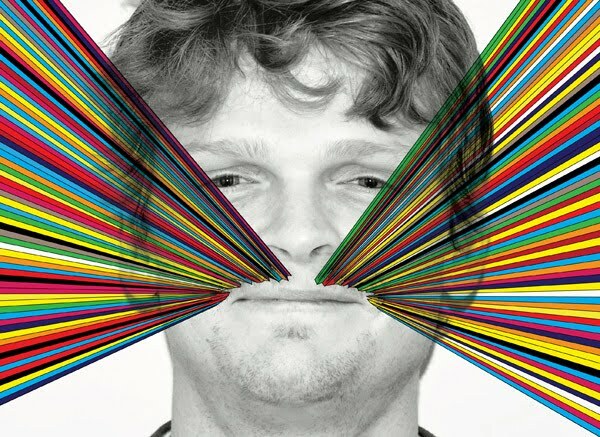 Congratulationss to everyone who took part in Movember, I hope that you can now stop constantly touching your upper lip. Good job Devin!